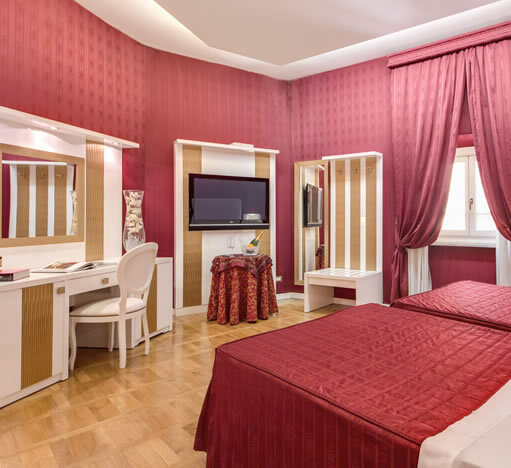 Welcome to the Relais Trevi Fountain Rome	Welcome to the Relais Fontana di Trevi in the heart of Rome’s historical centre, the ideal location for a romantic weekend in the eternal city. 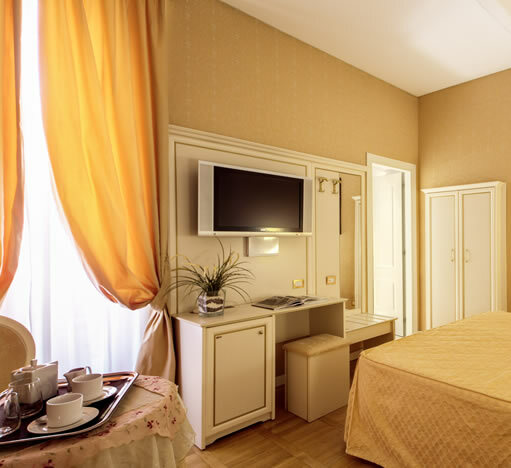 At Relais Fontana di Trevi you’ll find a welcoming and relaxing atmosphere just right for a truly unique and unforgettable holiday in Rome. The Relais faces out onto the Trevi Fountain in Renaissance Rome, just a few moments from the other most significant piazzas, monuments and museums of the eternal city. 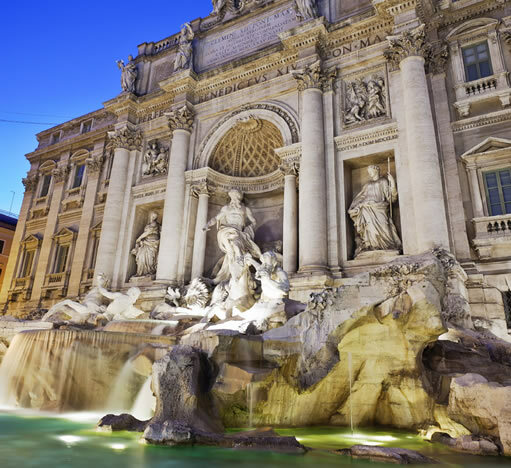 The Trevi Fountain is Rome’s largest fountain and is generally considered one of he most famous in the world. The work of Nicola Salvi, it attaches to one side of Palazzo Poli and was inaugurated in 1735 by Pope Clement XII while work was still underway. The Trevi Fountain Work would continue with interruptions over the years that would also see several popes come and go, as well as some of the finest sculptors of the era in Bernini and Borromini but the fountain was finally inaugurated well and proper in 1762 during the reign of Pope Clement XIII. Symbolic already of the city of Rome, the fountain has become one of her most important icons and as such could never have been ignored by Italy’s glorious cinematic tradition. The fountain duly appears most famously in Fellini’s classic "La Dolce Vita". 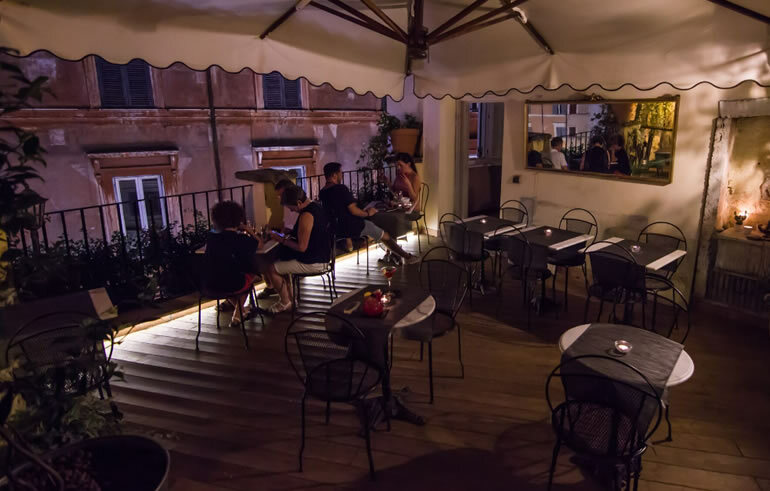 Magnificient Views Rooftop Terrace Guests to the Relais Fontana di Trevi Rome are not only lavishly pampered with the hotel services and the gorgeous bedrooms, but they also have at their disposal an enchanting rooftop terrace with magnificent views of the Trevi Fountain itself! 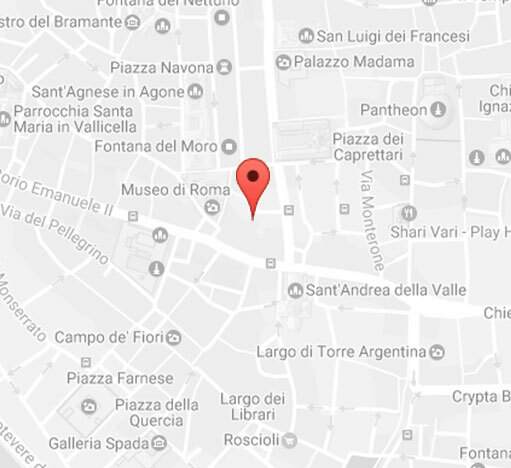 Our Location Relais Trevi Fountain The Relais Fontana di Trevi Hotel is found in the heart of the Renaissance area of central Rome, close to the Spanish Steps, Piazza Barberini and Via del Corso. 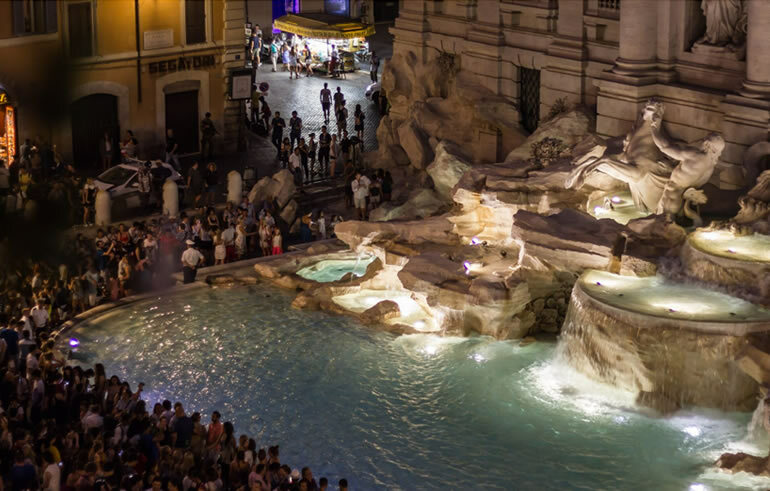 LOCATION Relais Trevi Fountain Rome Newsletter & Discounts Stay in touch with Relais Trevi Fountain joining our Fidelity Program. Submit your email address in the box below and receive an exclusive discount code that can be used immediately and only on our Official Website. You will also receive regular updates on the latest events and happenings in Rome.